I wrote about Molton Brown‘s new fine fragrance line back at the end of July (how quickly is this year whizzing through?) but I thought it was time for a recap in honour of their brand new Facebook App which will allow Molton Brown fans to profile themselves against the new fragrances and sign up for a complementary sample! 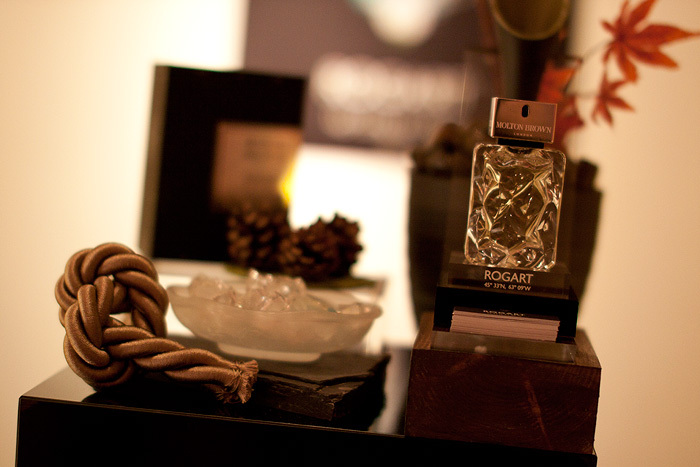 I went along to the launch last week and got the chance to speak to the perfumer behind the new range. Talk about a fangirl moment, it was touching to see how completely excited she was with the launch of her ‘babies’. I have to admit, I kept looking at her nose and wondering how much she could insure it for. 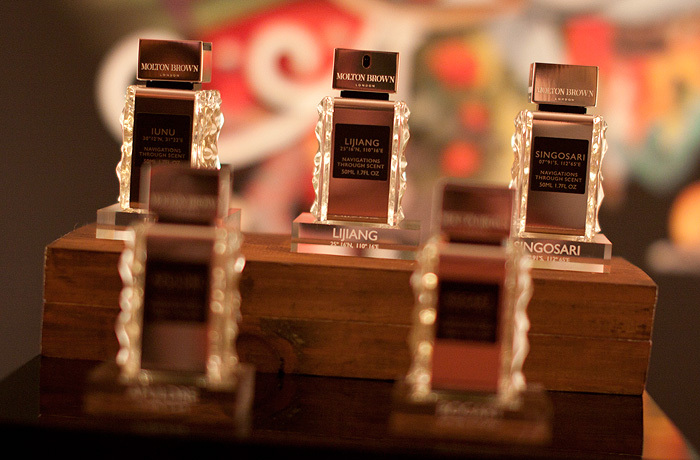 The Five new fragrances range from a light, yet soulful floral (Lijiang) through to the dark and brooding (Iunu). Each pay homage to the part of the world for which they’re named. The tie that holds the range together is the ancient Spice Trail, beginning in the birthplace of perfume (Egypt) and following its path to completion in the New World (Canada). 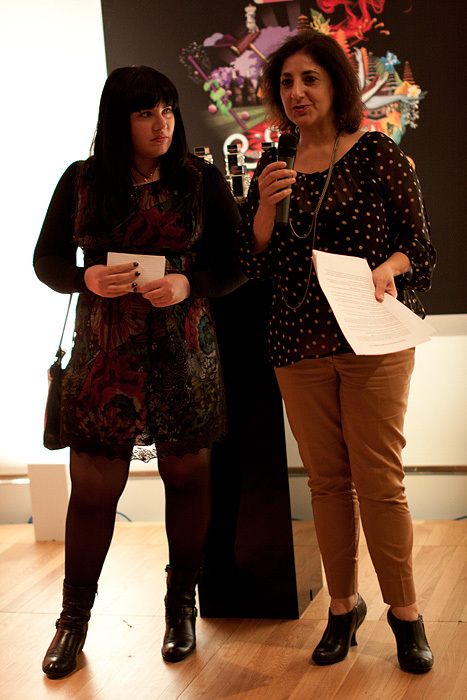 Jennifer Jambon, the perfumer behind the collection (on the left) has worked hard to evoke the feelings one would associate with the various destinations… they may not all be completely true to life, but they still work beautifully in a slightly fantastical way. I received a sample of my personal favourite, Iunu and one sniff skillfully transports me to an ancient land I’ve never had the pleasure to visit. 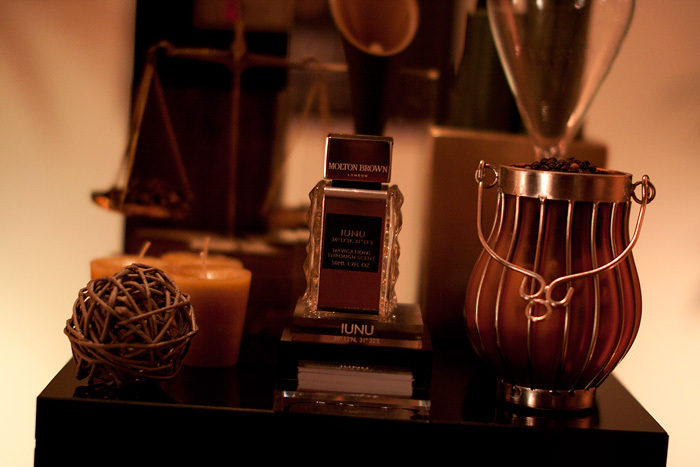 Inspired by Egypt, the Birthplace of Scent, I detect the arid, musky notes that I’d associate with the Nile Delta. Myrrh, hot pepper, sandalwood, clovebud and white jasmine transport me to those faraway river banks in a cloud of ancient opulence and mystery. Truly intoxicating, a little bit dirty and with the kind of warmth that ensures this fragrance will sing on my skin as the months get cooler, I’m smitten. 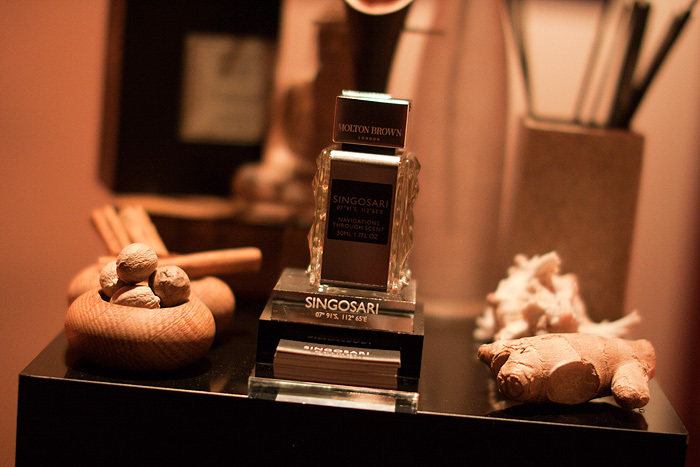 The other four fragrances each carry their own personality just as confidently (Singosari is also particularly divine! 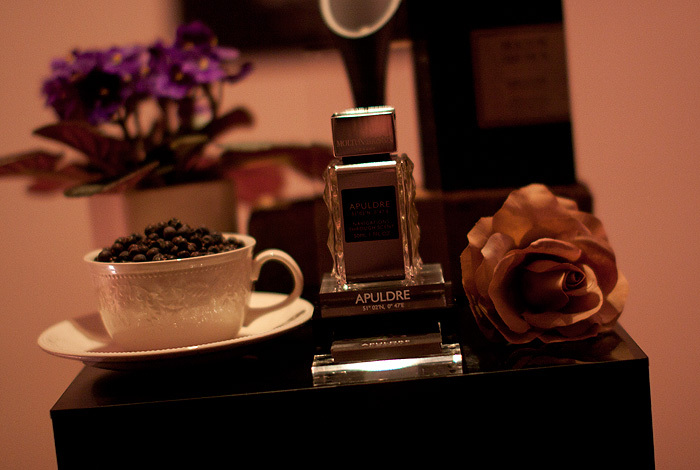 ), it’s a case of marrying up your scent personality to the fragrance. This is where the new Facebook App comes into its own. Take your own journey through a series of questions, where you’ll be able to discover which fragrance you are most suited to based on your tastes and preferences. 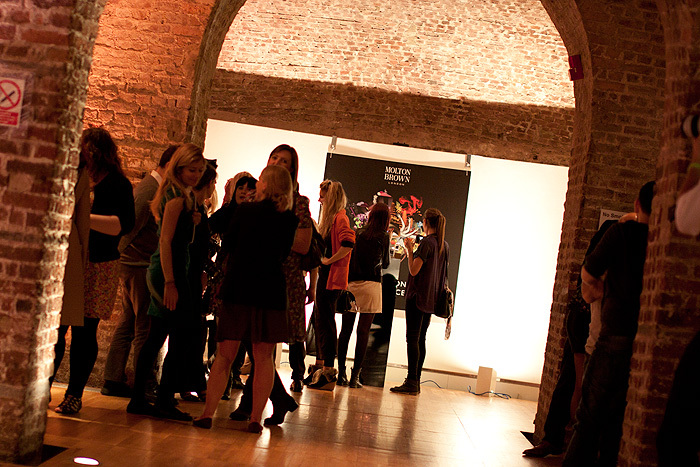 Once the quiz has been completed, you will be able to sign up for a complementary sample of your chosen fragrance. Get navigating explorers! I LOVE Molton Brown! I think I’m an MB fangirl. 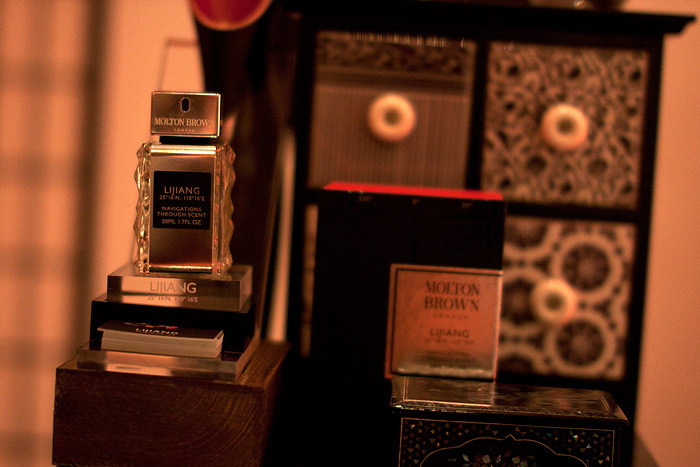 If there is one constant brand in my bathrooms then it is Molton Brown. I don’t mind paying £16 for the showergels because the smells are so unique, you can’t find them anywhere else AND the gels last a fair old while. I must investigate this perfume business at once! got Iunu from the quiz, no surprise there!. I love ambers and oriental florals. I hope the sample isn’t just one of those cards you rub on the wrist, since it takes a few wearings for me to really see if it’s something I really want. I shall getting Rogart, can’t wait to try it! I got my sample of Burberry Body, I really like it even though its totally different to what I normally wear, its powdery and gentle but so feminine!